JOHANNESBURG, Mar 11 2013 (IPS) - There is growing resentment in Africa about the way in which South Africa professes to speak for the rest of the continent in its role as a member of key developing nation blocs, researchers and experts have warned. South Africa is a member of the India, Brazil and South Africa (IBSA) developing nations grouping, as well as the fledgling Brazil, Russia, India, China and South Africa (BRICS) club. “I think many African leaders, political and business, are resentful of South Africa having too great a role in the leadership of Africa,” he said. While he added that there may be an increased pragmatism that accepted the strengths which South Africa has in many fields, it could soon become tiresome. “The pragmatism may wear thin if South Africa overplays its hand, especially in such contexts as BRICS where other African countries do not enjoy parallel forms of special relationships,” he said. He added that other African countries did, however, have special relationships with the European Union, even though South Africa had originally been chosen as a special strategic partner with the bloc. “The manner in which South Africa acts in the BRICS context becomes especially relevant and, given perceptions (outside Africa) that Africa wants South Africa to be its leader, it will not go down well – although voiced disapproval may be slow to emerge and will do so in a varied pattern,” he said. He added that the growth of regional economies in Africa also helped undermine South Africa’s right to be the key gateway for the continent. 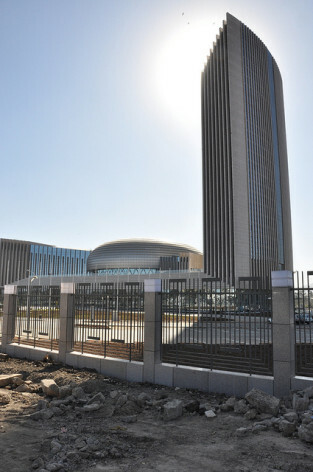 The African Development Bank (AfDB) predicted that despite the global economic slowdown, sub-Saharan Africa is expected to see economic growth of 6.6 percent in 2013. According to the World Bank’s “Africa’s Pulse” report, released in October 2012, “new discoveries of oil, gas, and other minerals in African countries will generate a wave of significant mineral wealth in the region.” In addition, Ethiopia may be one of Africa’s poorest countries but its economy is expected to grow at a rate of seven percent for 2012/13, according to the International Monetary Fund. Memory Dube, a researcher at the South African Institute for International Affairs, an NGO that focuses on South Africa’s and Africa’s international affairs, suggested that South Africa needed to consult more to strengthen its credentials to speak on behalf of Africa. “What South Africa needs to embark upon is a proper consultation process, particularly with the other key states such as Nigeria, Algeria, Kenya, Egypt and Ethiopia,” she told IPS. “The BRICS leaders are going to engage with African institutions such as the New Partnership for Africa’s Development, the African Union (AU) and the AfDB as well as regional economic communities,” she said, adding that it would be a good move, especially if African priorities, as defined by South Africa, are drawn from a continental dialogue. “However, bilateral relations still remain key and engagements with institutions should be complementary to these bilateral relations with other key African champions,” she said. But South African Minister of Foreign Affairs Maite Nkoana-Mashabane dismissed suggestions that the country was not properly consulting its African neighbours. “I sit in meetings where I know we truly and faithfully engage with all the independent countries on the continent,” she told IPS. “They all have individual policy perspectives, but we all belong to the AU, and take decisions together. We have friendly and cordial relations with them and take none for granted,” she said adding that South Africa was an integral part of the continent. Nkoana-Mashabane was unrepentant about South Africa’s links with its BRICS and IBSA partners and gave her firm support to the developing nation economic blocs. Nkoana-Mashabane added that South Africa would call for investment in Africa’s infrastructure at the summit.